Fanuc PC controls with Fanuc digital AC drives and Fanuc motors. Ball screws on X and Y travel. Combination Brush and Ball table. CAD software to enable files to be transferred in dxf and compatible with other machines. Full set of tooling included. Tooling interchangeable with major brands. 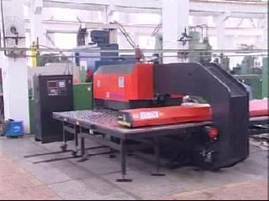 The factory produces 400 machines per year in a state of the art facility using advanced CNC machining capabilities. Quality is equal to the world’s best and only name brand components are used. This guarantees world wide support and replacement part availability. 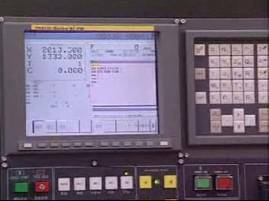 FANUC -PC CNC control matched with FANUC servo drives and FANUC motors. Optional Auto Program software enables jobs to be prepared and stored on desk top computers. 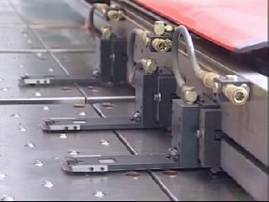 Pneumatic Clamping also floats to allow vertical movement. The clamps present only a small dead zone and can travel between the discs of the turret. Programmable Intelligent clamping to prevent crashes. Combination Brush and Ball surface reduces noise during punching. 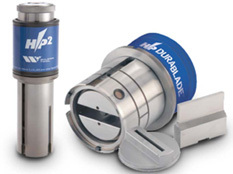 Tool cavities accommodate all the leading thick Turret name brand tools. 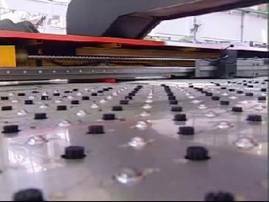 Controls are located away from the machine to eliminate problems caused by vibration. 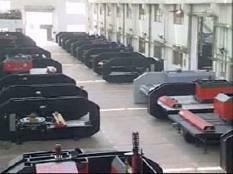 High quality heavy duty linear motion. 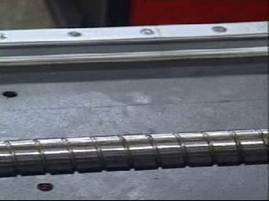 Linear guides and ball screws are by Bosch Rexroth.